Volunteers are critical to maintaining the health and vitality of the Forest Preserves. Without them, the professional staff just doesn’t have the capacity required to reach all 70,000 acres that make up the Forest Preserves of Cook County. At the Forest Preserve Foundation, we are always happy to give volunteers their proper due and recognition. 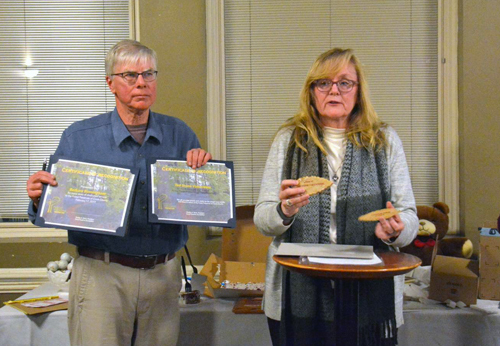 For that reason, it was such a pleasure to attend the 17th annual Teddy Palooza Awards Dinner in February, when the Theodore Stone “Ted” Forest Preserve volunteers got together. 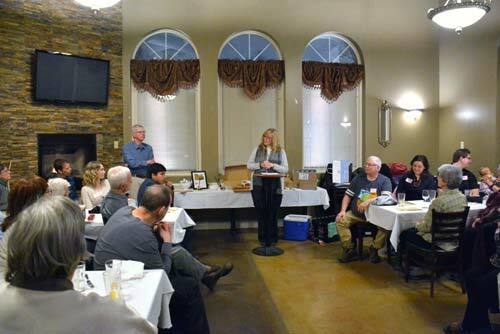 The annual event, organized and emceed by site steward George Birmingham, celebrates the volunteers and their work and gives everyone a chance to socialize. Volunteers, in partnership with Forest Preserve staff, have been instrumental in making “Ted” one of Cook County’s finest restoration sites. For more than 25 years, volunteers have battled invasive species like buckthorn and garlic mustard, bringing back habitats and spreading native species. Over the years, a core group of volunteers, led by George and his wife Barbara, return month after month to “Ted” to care for this beautiful spot in Hodgkins in southwest Cook County. Each year, George recognizes volunteers with the Teddy Awards, acknowledging volunteers’ unique qualities and impact on the workdays. Ember dousers and golf ball collectors were among the honorees, as well as the crew newbie. 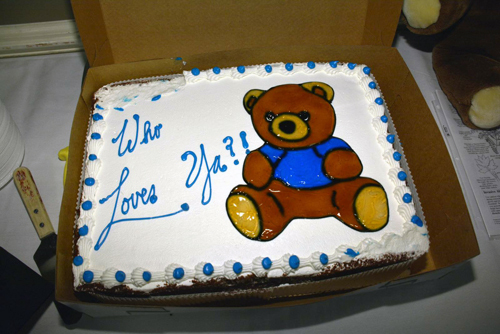 But, this year’s Teddy Palooza was particularly special. In addition to the Teddys, the wonderful hospitality and company, the delicious meal, and a violin serenade by Jay, George wanted to recognize the volunteers is a special way. George noted the many volunteers as a special group of people. “A Ted workday may be in hot weather, cold, snow or even a little rain, but they are always fun,” he said. I was honored to share the evening with such a wonderful group of people and to present the leaves on behalf of the Foundation. “Ted” volunteers and stewards like George and Barbara Birmingham are vital to the future of our Preserves. George’s generosity of his time and treasure will help the Foundation continue to support their work at Ted Stone. 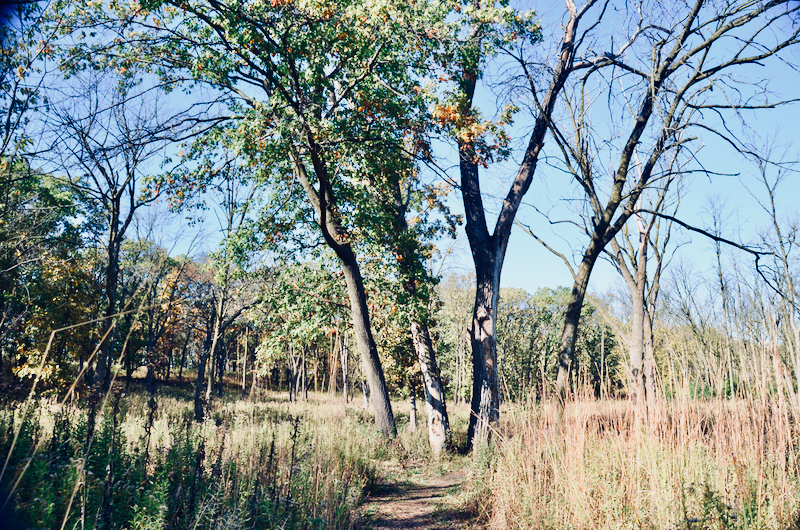 Learn more about volunteer stewardship opportunities in the Forest Preserves and how you can participate. 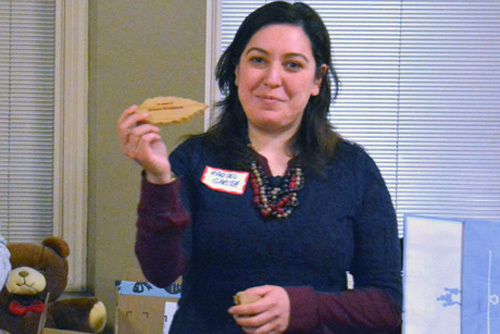 Raquel Garcia-Alvarez, stewardship program coordinator for the Preserves.